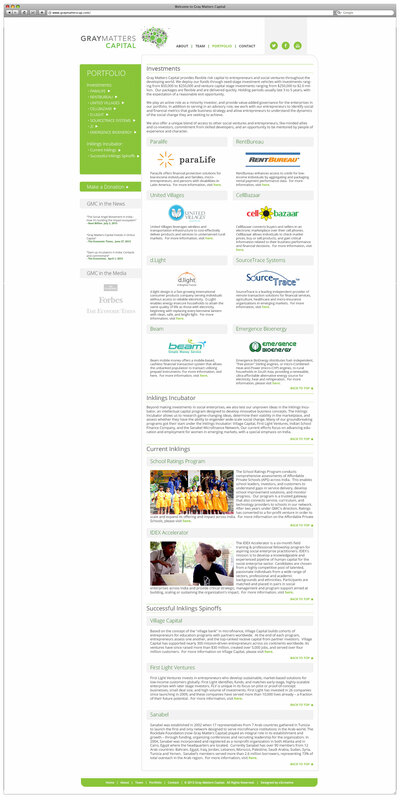 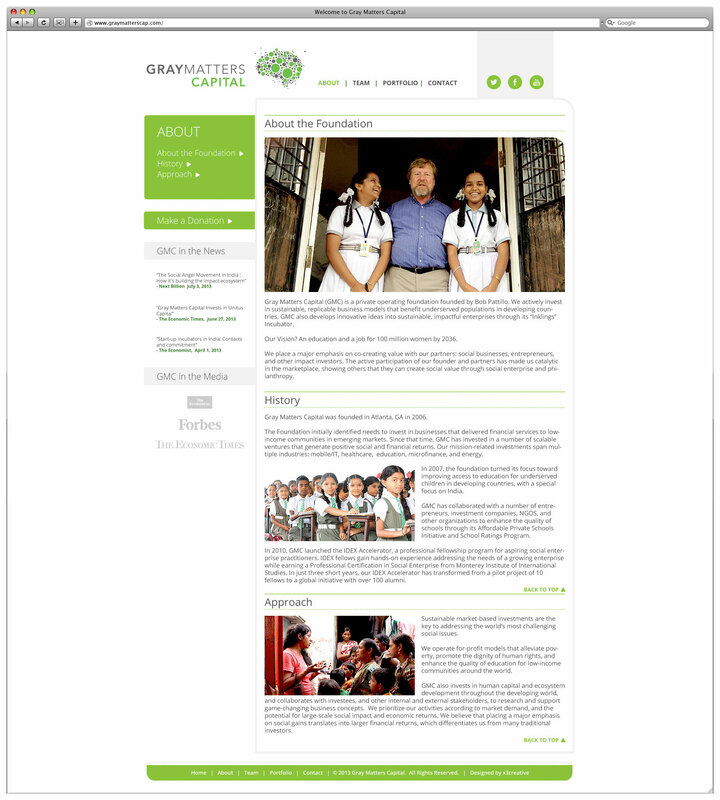 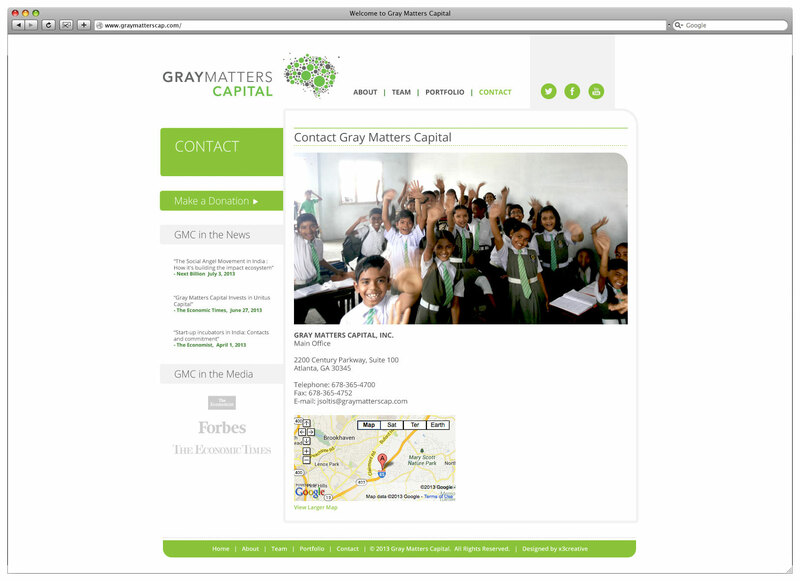 Website for Gray Matters Capital, a private foundation investing in sustainable, replicable business models that benefit underserved populations in developing countries. 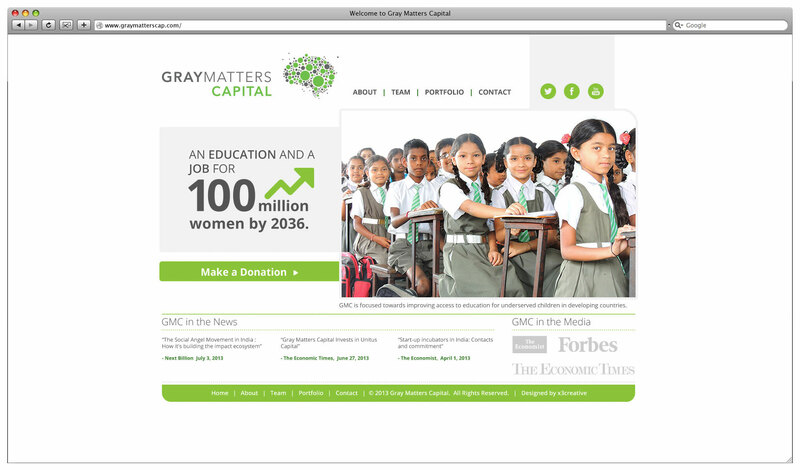 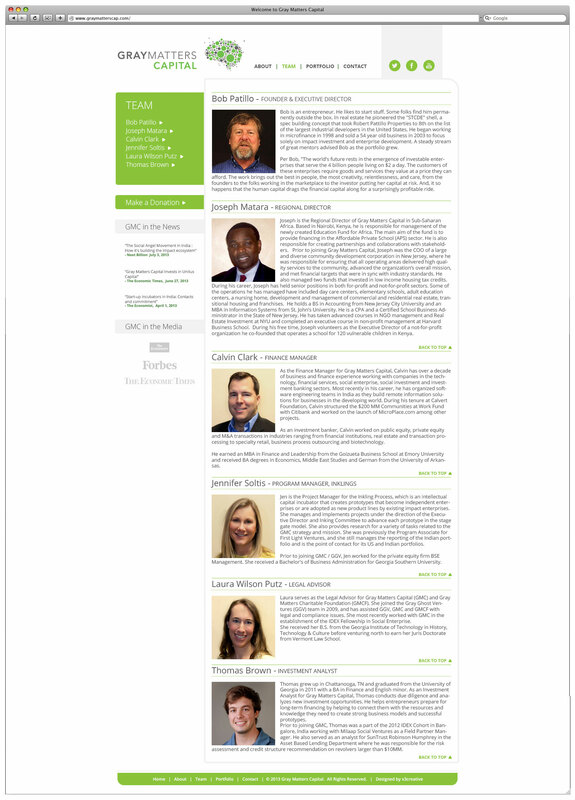 Further develop the corporate identity of Gray Matters Capital and build a website. 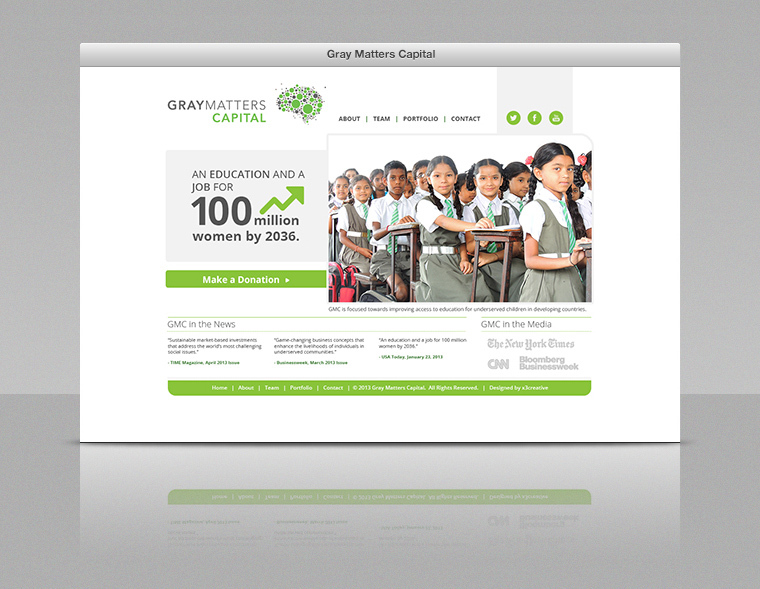 Refined their logo and created a website theme that enhances and reflects their corporate ideologoy and identity.